"FASTEST TOW TRUCK COMPANY IN SANTA ANA"
We’ll be there. If you’re stranded along Highway 5, or need a tow in Santa Ana or the surrounding areas, the last thing you want to do is wait for a tow truck to arrive. We have a 10-vehicle service fleet to deliver 24-hour towing and roadside assistance services to all of Orange County, California. ​While customers love our punctuality, professionalism, and rates, you’ll also be happy to know we carry liability insurance. 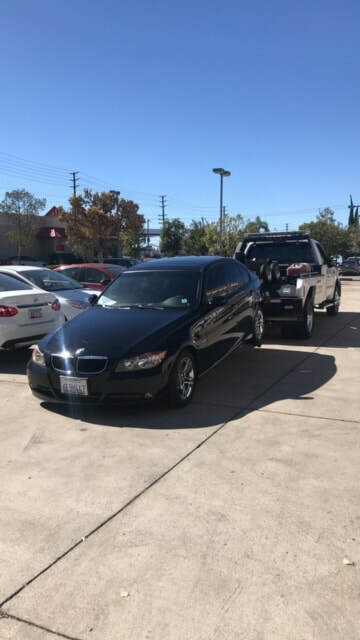 Your auto is in great hands with Santa Ana Towing. ​The majority of our services are geared toward towing and roadside assistance for individuals and families, although we also provide vehicle repossession and transportation services to businesses. Whether you need a tow in Santa Ana or 24-hour emergency roadside assistance, we’ll be there — call Santa Ana Towing at (714) 587-5607. ​You can also complete the easy quote request form on this page and we will get back to you with an accurate estimate on towing or roadside assistance services. Our towing service area extends north to La Habra, south to Newport, west to Buena Park, and east to Anaheim Hills. 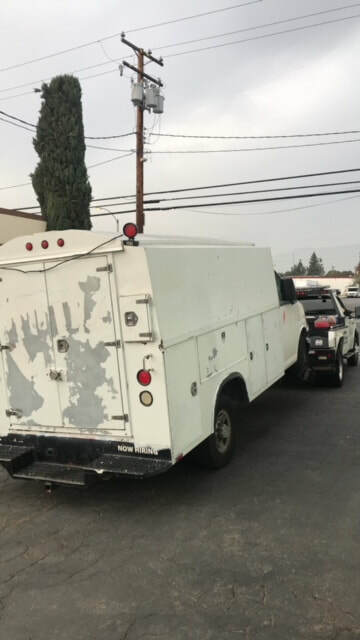 When time is crucial, go with a time-tested and trusted company — call Santa Ana Towing and we will quickly dispatch an operator to your location. We operate 24 hours a day, 7 days a week (including most holidays) to provide roadside assistance services to motorists anywhere in Orange County. Free Instant Quote. No Obligation! For a free, no-obligation quote simply complete this form and an operator will call you back as quickly as possible — typically within minutes. 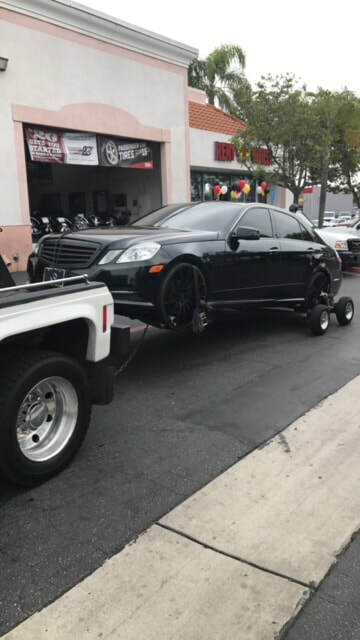 Santa Ana Towing was founded on the notion that area motorists deserve a towing and roadside assistance service that is quick, flexible, and priced fairly. 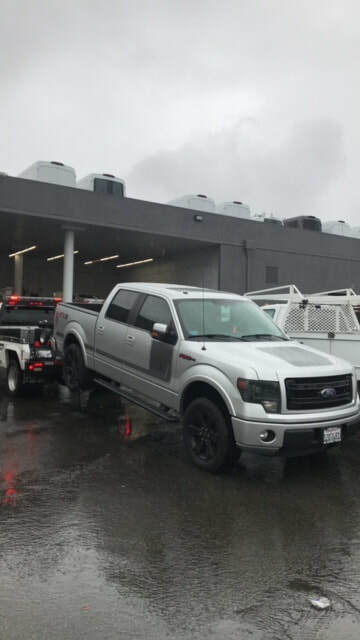 We continue to take a principled approach to what we do, which has made us one of the best towing services in Santa Ana and Orange County. At Santa Ana Towing, we want you to stay safe out there on Orange County’s roadways. Before you head off on a day trip or family vacation just follow these eight pieces of advice — they may just save you from Googling “tow truck near me” or “tow service near me” down the road. 1. Check Tire Pressure — You should check the air pressure in each tire at least once a week. Most cars manufactured within the last decade come with tire pressure sensors that will alert you if the pressure gets too low. Always be mindful of these alerts; unlike that pesky airbag light, low tire pressure alarms are usually fairly accurate. Low tire pressure can and has led to a number of blowouts along the interstate — something that doesn't go well when you're traveling at 70 miles an hour. 2. Change Your Oil — Your oil should be changed according to the schedule recommended by your vehicle's manufacturer. Failure to do so can even void your warranty. You may even want to consider switching over to a synthetic oil to help extend the lifetime of your engine. Synthetic, premium motor oils have been shown to greatly reduce the wear and tear auto engines. 3. Tire Rotation — Your tires should be rotated every 3,000 to 5,000 miles, or about every time you change your oil. Any uneven tread on the tires may signal that there's an issue with your alignment, although any trustworthy auto shop should point this out and recommend a rotation service. Trust us when we say that a tire rotation is much cheaper than new tires. Beyond the savings, you will also have a safer ride. 4. Check that Spare — Every once in a while, check your spare tire to make sure it has enough air pressure. Spare tires are typically thinner and therefore require more pressure than your regular, full-size set. While you're checking the pressure, it's not a bad idea to make sure your tire jack and iron are also in your trunk. 5. Keep at Least Half a Tank of Gas — Because... you never know. It may sound out, but you never know when something major, such as an emergency, requires you to drive out of town. You may not be mindful of the distance to the nearest gas station, leading you to run out of fuel. Of course, we would be happy to provide you with a fuel delivery, but why risk it? 6. Prepare for Emergencies — Emergency auto kits are readily available from most auto shops. As a tow truck and roadside assistance company, trust us when we say that unexpected emergencies happen far more frequently than most realize. So, be sure to get a kit that includes a tire gauge, jumper cables, air compressor, flares (or triangle reflectors), and a first aid kit. 7. Schedule Regular Service — A little service goes a long way. Like your oil change, you should have your vehicle examined and tuned on a regular basis. Following the manufacturer's recommended maintenance schedule will not only save you a good deal of money on an unexpected repair, but will also ensure your warranty is kept intact if you should ever need it. Most mechanics recommend a point-by-point inspect and tune-up every 30,000 miles. Your air filters, sensors, axles, and suspension all experience wear over time. If this wear goes on too long an unexpected breakdown may occur. But, if you are the type of person that delays maintenance, please add us to your phone's contact list; we are going to become great friends. 8. Don't Fill When the Tanker is Filling — We know you've been in a situation when you rolled up to the gas station and the tanker is there refilling the reservoir. You may have even thought, "Just my luck, fresh gas!" But, you should avoid pumping fuel at a gas station while the fuel truck is refilling the reservoir. Why is this? As the truck is pumping all that fuel into the below-ground tanks, a lot of sediment is being stirred up. You do not want that sediment in your vehicle's gas line. If your fuel filter isn't able to remove it, the sediment can wind up ruining your engine. This is one of those life oddities you may just need to Google for yourself before you realize how common and frustrating this scenario is. Following these tips and applying a little common sense will help you stay safe out on Orange County's roadways. But, if you ever need a tow or roadside assistance, please don't hesitate to contact us at any time.